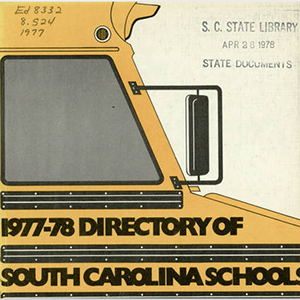 Since 1911 the South Carolina State Department of Education has published a yearly directory of schools in the state. Information catalogued in each issue is different; some issues include school and district information, Department of Education staff and programs, listings of private schools and colleges, statistics, and state educational associations. These directories provide valuable information about the school buildings and educational leaders in a community. The issues available are from 1912-2010.